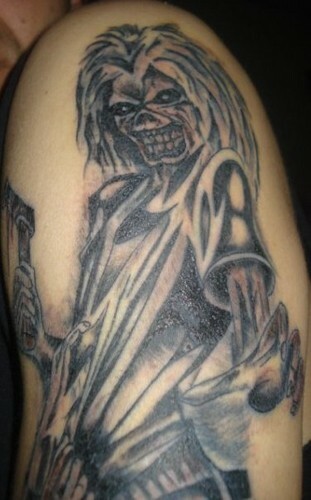 Eddie Tattoo. Killers. Wallpaper and background images in the Iron Maiden club tagged: eddy albums eddie iron maiden. This Iron Maiden fan art might contain سرخ بند گوبھی.